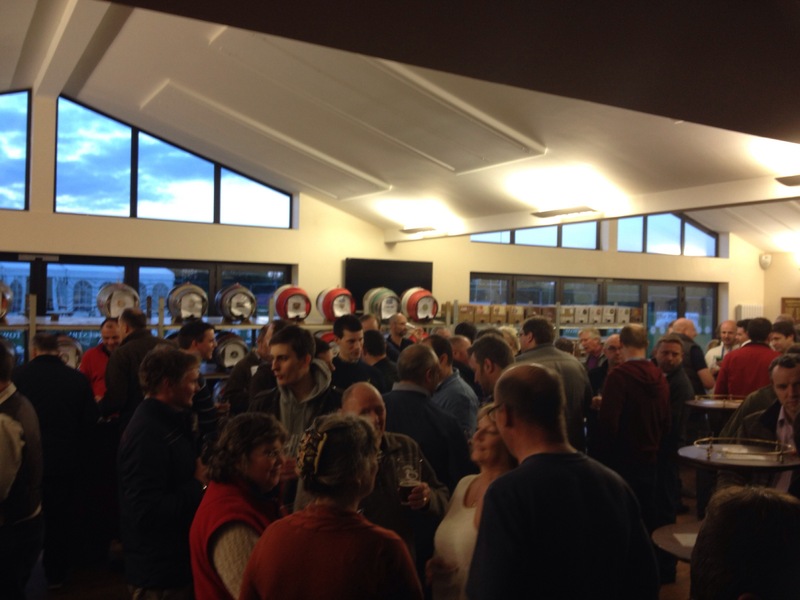 This weekend saw the much anticipated Towcester Beer Festival return to Towcester Rugby Club. The annual event is into it’s 5th year and the weather didn’t disappoint for those joining in. The event has grown in popularity because it gives those keen to try new real ales the opportunity to do so and with over 60 types on offer it is unmissable. Crispin “The Festival Man” Slee brought 60 real ales to the table with the addition of 30 real ciders. 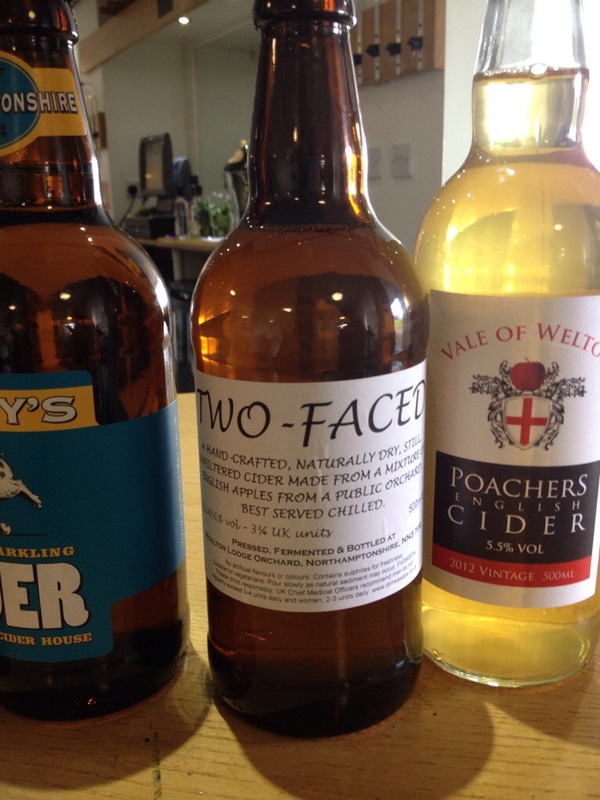 There was also an opportunity to try some local bottled ciders on the Saturday and Sunday. There was a fine selection of Food on offer as well and the Gurkha Curry once again went down a treat. The Sausage Sarnies and Burgers were also a success as those requiring some ballast to keep them going were looked after in style. Friday evening generated a real buzz of excitement amongst the crowd there who were keen to start early. Despite the nip in the air as the sun went in there were those brave enough to sit out on the open area neatly laid out with tables and benches. By Saturday this area was awash of people all enjoying the combination of drinks and sun. Saturday and Sunday also saw live music from local musicians including the Rock School as well as bouncy castles and face painting. There was a lovely atmosphere with those enjoying the sunshine that graced the Rugby Club. 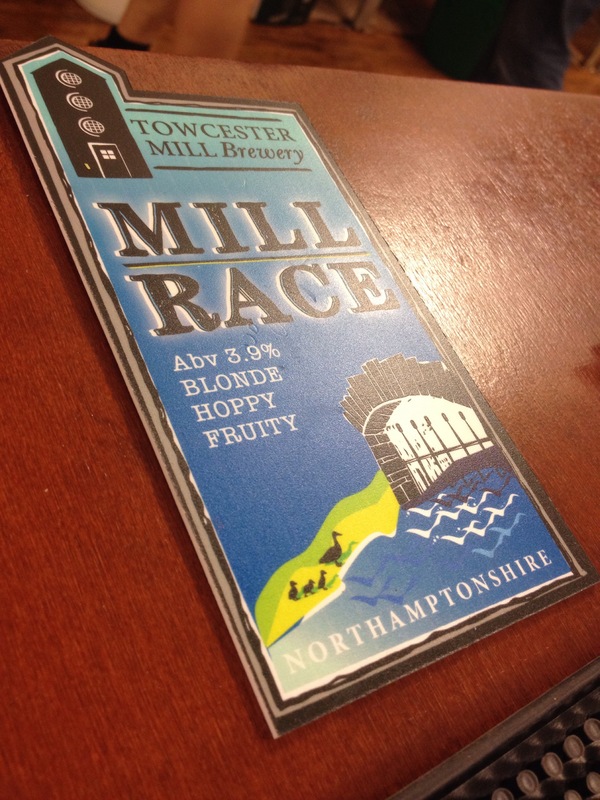 Back to the Ales and our friends at a Towcester Mill Brewery were showcasing their Blonde number Mill Race. This 3.9% ABV Ale is brewed using Pilsner malt which gave it a pale blonde appearance whilst delivering a grapefruit and herbal finish. We started with this and it didn’t disappoint and ensured the tasting session started in a positive fashion. 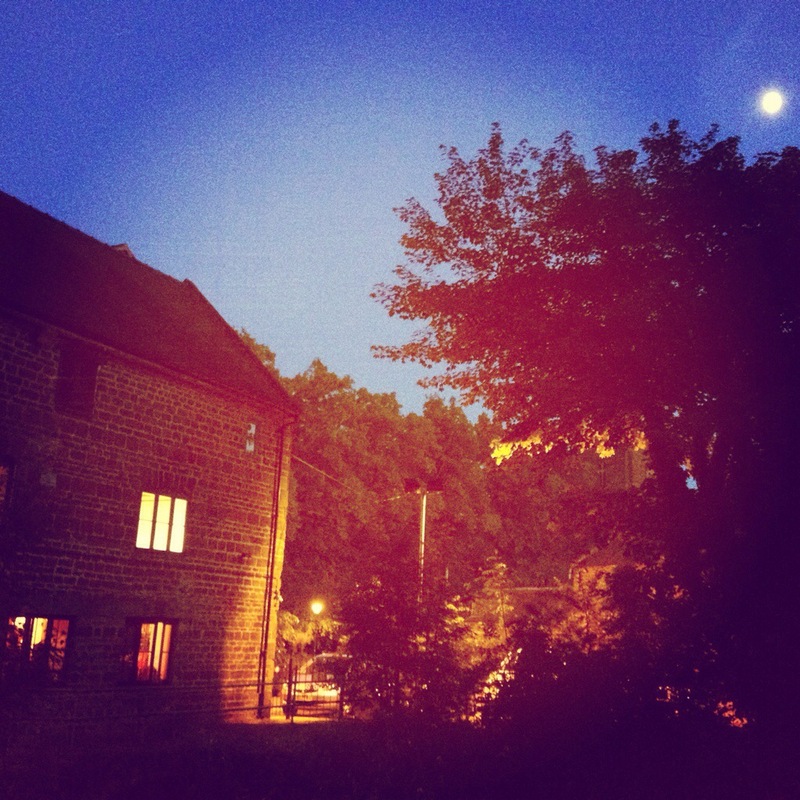 Towcester Mill Brewery opens in May so it’s not long until we can grace their new bar to try some of their other Ales. There were many different breweries to try from, some local and some not so local. 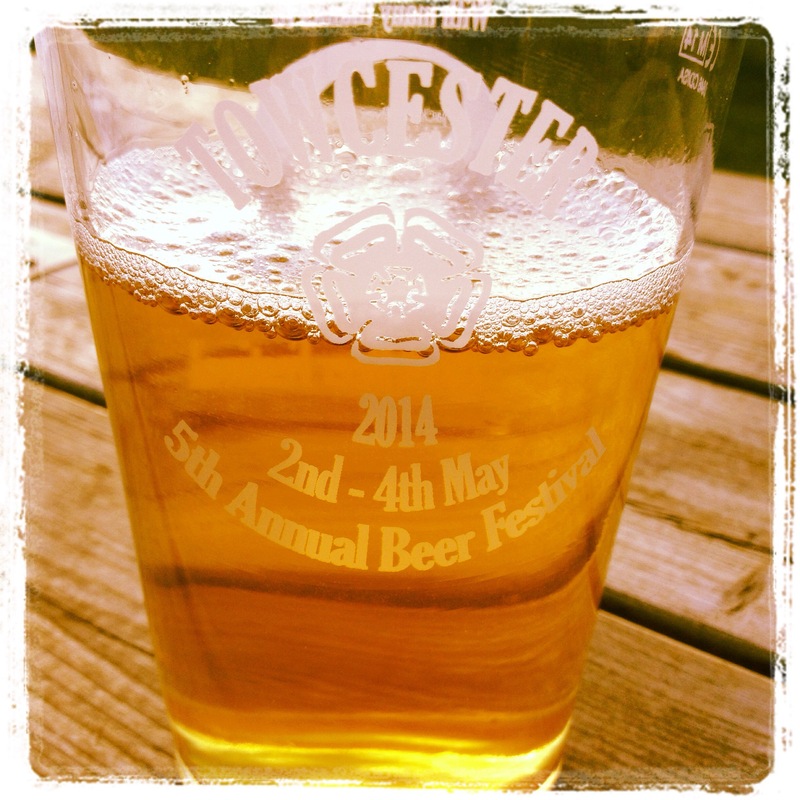 We enjoyed in particular Crazy Daze, a Golden 5.5% ABV ale from Potbelly brewery in Kettering, Northants. The Local Whittlebury brewery also had a presence and my favourite Amber Ale was called Green Dragon 4.4% ABV which offered a strong bitter finish created using a combination of Sovereign and Challenger Hops. Silverstone brewery offered a lovely Golden Ale called Skidmark which delivered a fruity, floral aroma with a citrus taste. This came in at 4.2% ABV using a mixture of three hops, which was very nice. In conclusion the Towcester Beer Festival has once again been a resounding success. I am truly grateful that as locals we have the opportunity to attend something this exciting on our door steps. The venue was well set out and the variety available was so diverse. It was clear from the 2,000 + people who attended over the three days that it was enjoyable and the sunshine capped it off well. Please add me on Untappd my username is markyjb to check out my reviews of Ales tried so far. 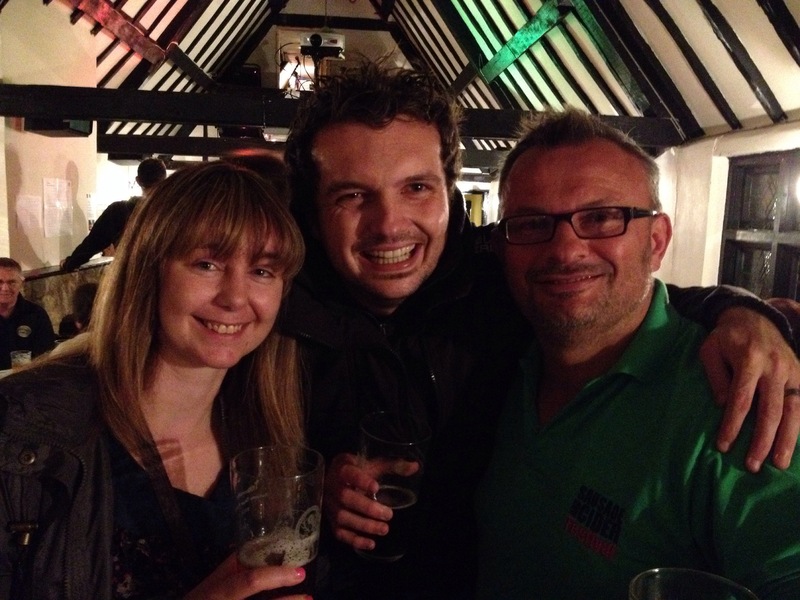 This weekend saw Towcester host it’s very first Autumn Beer Festival. The event which ran across three days was held at The Pickled Pig on the High Street. Following on from the successes of the more established Summer Beer Festival and Sausage & Cider Festival held at Towcestrians Rugby Club, Whittlebury Brewery hosted and showcased a couple of their offerings to the residents of Towcester in this unique event. The Pickled Pig proved to be a suitable choice of venue and with a buzzing crowd and live music it complimented the selection of 16 Real Ales and 12 Ciders on offer. John Evans of Whittlebury Brewery was on hand to serve the liquid treats available whilst happily sharing information which made the tasting even more enjoyable. Two of the Real Ales “Amarillo and Oasis” are brewed by John and it’s clear from our conversation he believes and shares my enthusiasm for Real Ale, “Real Ale is far more complex than Wines. You can achieve far more variations with Ale, this is because you can alter the way the hops are used to create a completely diverse taste. Wine can be tasted by swilling it around your mouth, Ale needs to be swallowed”. If there is one frustration of mine, it is the fact that you struggle to find locally produced Real Ales on tap in the local pubs. Towcester certainly has the pubs in place that would surely benefit from this, however it’s a common fact to find London Pride on tap and not Amarillo. I spoke with John and he has promised that this situation will change and that the next year promises to be exciting for lovers of Local Real Ales. In the past it has been known for a guest ale to appear, however by the time people are aware of this and the time that’s passed it’s off no sooner than when it first appeared. This is going to change and John will try all he can to make this happen. Another local supporter and event organizer of Local Real Ales and Ciders Festivals is Crispin Slee. 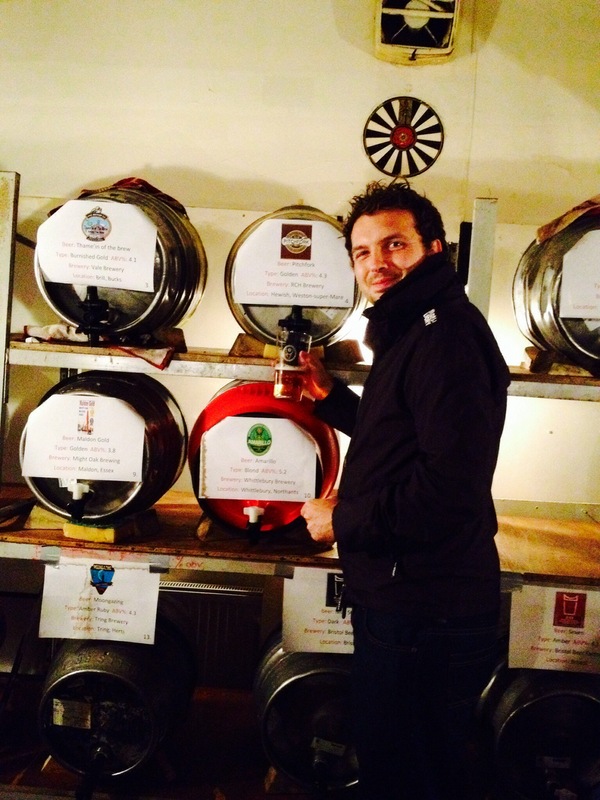 Crispin organizes the Beer Festivals and created the popular Sausage & Cider Festival concept in Towcester. He was there on the Friday night we attended. Crispin who is better known as The Festival Man has seen peoples love for Local Real Ales and Ciders create a demand for these events. There were other Real Ales available from breweries close by such as Nobby’s Brewery in Guilsborough, Northampton to as afar as Tring Brewery in Hertfordshire. It was safe to say that this carefully chosen selection gave a nice range of tastes and styles for any Real Ale fan. Here you can see the selections available as well as some fantastic seasonal gift sets. If you’d like to contact John Evans, then his details are on this page. 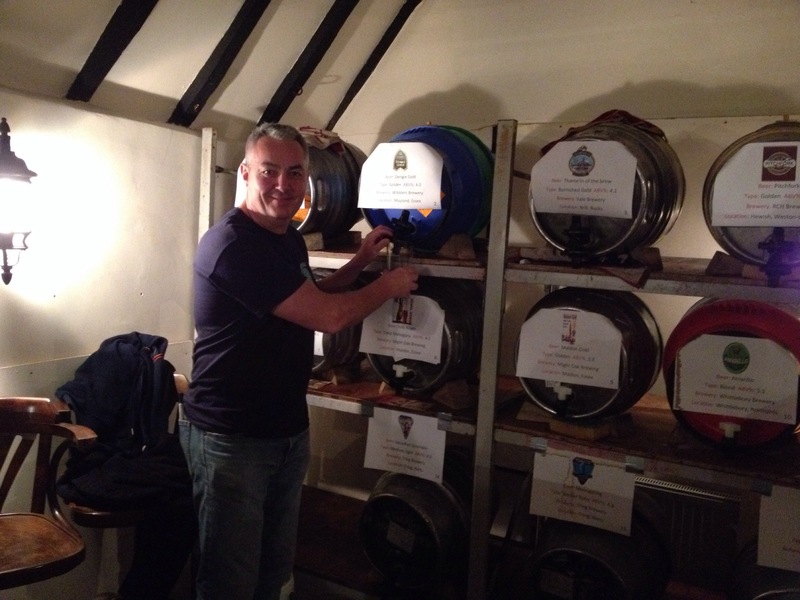 Finally no Beer Festival is quite complete without having a go yourself as John kindly let me pour some of his Ales. The pricing was extremely fair for this event and £15 would buy you a Token that covered 10 half pints at £1.50 each. I think The Pickled Pig was a shrewd choice in venue and the space they have upstairs allowed this to run independently alongside their bar downstairs. The three day event is a nice concept and I think bringing this into Towcester Town Centre made it easier to access whilst attracting passing trade. So what next? Well Towcester will be holding a Winter Beer Festival at Towcester Racecourse over the weekend of Friday 30th November – Saturday 1st December. There will be 30 Real Ales and 10 Ciders available alongside a Christmas Market and National Hunt Horse Racing Card on the Saturday. Entry to the event is free so please take this opportunity to attend and see in the Festive Season in some style.